Note: I gave this talk on March 27, 2018, as part of the IUP English Department’s Faculty Spotlight speaker series. My thanks to the department and, especially, Drs. Oriana Gatta and Todd Thompson for organizing the series and my talk. To those who play them? To historians? To high-school English teachers? To those thinking about designing a videogame studies minor at a large regional public university? To the students in this room who are attending to earn extra credit? Videogames matter to A LOT of people. According to various marketing analyses (see this and this), between 1.8 and 2.2 billion people play videogames on a regular basis. In other words, about 1 out of every 4 people on our planet regularly play videogames. I find that number pretty thoroughly stunning, particularly when we break those numbers down by region. 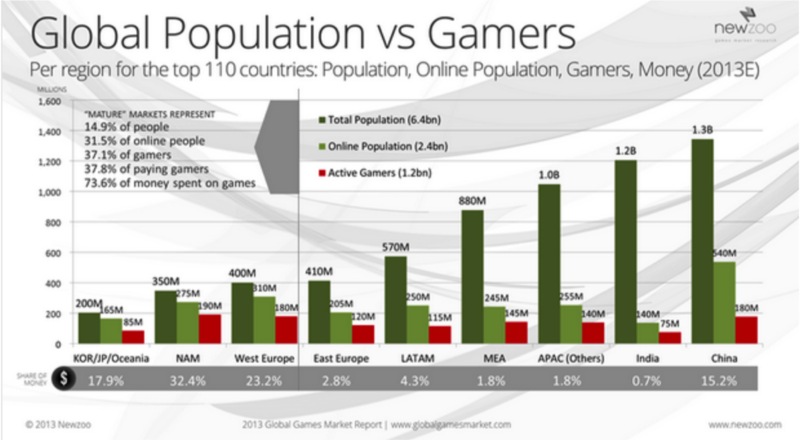 Here’s a chart that offers some intriguing perspectives on the global reach of videogames and videogame culture. This chart tells us a few things–a few fascinating things. First, the percentage of people playing games in each region tells us a lot about what wealth and privilege mean in a digital era. Wealth is not just about access to food, water, security, and opportunity, but access to information. One marker of wealth and privilege is reliable access to the internet and all the internet provides a person and their community. Second, the chart shows us that, if people do have access to the internet and everything that implies (computers, steady electricity, a reasonable level of security, virtual community, and so on), a lot of them are going to play videogames. According to the chart, about half the people who have access to the internet play games, a statistic that holds true across regions, with the exception of China. As an English Professor, as someone who has committed the better portion of his life to the Humanities, these numbers tell me that if you’re interested in understanding global culture, if you’re interested in how people around the world think and feel and communicate and imagine and play, you need to care about videogames. If you have ambitions about spreading critical consciousness to a global community—whether that consciousness is about economics, gender, culture, ideology, whatever—you need to care about videogames. If you believe that imagination and creativity can make the world a better place, or a worse place, you need to care about videogames. Let’s move the focus more locally, to the United States, to communities in Western Pennsylvania, to our family rooms and kitchen tables. And the good news is . . . It’s time for more statistics! According to the Entertainment Software Association’s 2017 report, 2 out of 3 U.S. households are home to at least 1 person who plays videogames for 3 or more hours a week. The average age of those persons is 35. About equal numbers of men and women play videogames (the EESA does not provide information about those identify as neither male nor female). Yes, men and women tend to favor different kinds of games, but men and women play all kinds of games, regardless of genre. According to the ESA, there are 2,858 videogame company locations, and these are located in 365 of the 435 congressional districts in the US. When I say this, I’m not trying to spread the gospel of first-person shooters and massively multi-player role-playing games and history simulators and point-and-click adventure stories about losing a child to cancer and interactive-fiction storygames about dystopian worlds where humans have their dreams stolen from them. Actually, I kind of am doing that. One of the things I’ve learned over the last five years of teaching and studying videogames is that most people—including people who play a lot of videogames—have a very limited understanding of what a video game is. In the same way that I use my time with students in a literature class to introduce them to texts and authors they might never encounter otherwise, when I teach videogames, I try to get non-players curious about the genre, players more knowledgeable about how games communicate, and everyone aware of how much really great stuff is out there, if you just take the time to look. Videogames come in all shapes and flavors. There are games where we shoot and run and hide and kill. There are modest little games that take only a moment’s thought, a little time, a modicum of skill, and engage only a small portion of our subjectivities. And there are beautiful, moving, richly conceived videogames that require the engagement of our hearts and minds, that demand from us the kind of time we might spend with Marcel Proust’s A la recherche du temps perdu, the effort that we might put into Gertrude Stein’s Four Saints in Three Acts or John Donne’s Holy Sonnets. There are games that drill down into themes that matter to all of us: the insidious nature of greed, the banal facts of mortality, the ethics of war, the struggle to maintain friendship when time and pain strain every reason for being friends. And these games require us not just to confront these realities, but be responsible within those realities. But those realities, those responsibilities are shaped in specific ways by the medium. If I’m interested in exploring the complexities of human consciousness over the long course of a human life, the haiku is not the first choice I would make. But if I wanted to capture a moment of ephemeral beauty—ice crystals melting on a crocus blossom—the haiku is the right tool for the job. Videogames are about problems and systems. Whatever a designer attempts to do with the medium, whatever content they attempt to explore and communicate, the medium pressures the creator towards systematization and the construction of meaningful problems for the player to solve. And whatever a designer attempts to do, the experience of the user will be interactive. When we play videogames, we are part of the problems, part of the systems. When we play, we exert agency within those problems and systems. And that is what makes videogames so significant to our moment. Because if there’s one thing all of us need to care about—whether as teachers or citizens—it’s the nature of agency within complex informational systems. Agency is a theme of some of my favorite games. I think, for example, of Spec Ops: The Line, which takes the conventional formula of the military shooter, mixes in the plot and themes of Joseph Conrad’s Heart of Darkness, and forces us to confront the realities of military intervention and neo-imperialism. We don’t just read about atrocity, we encounter it, we are implicated in it, we contend with our role in it. Or BioShock Infinite, in which we discover that we are both hero and villain, both a fighter in the struggle to overthrow an imperialist, racist city-state and, through a sci-fi twist of fate, the dictator who rules that city-state with a bloody hand. Or Life Is Strange, where we play a high-school girl, a promising photographer struggling to understand who she is, what friendship is, and how to shoulder the burden of loving others. The decisions that Max Caulfield makes are not just her decisions. When our friend Kate is teetering on the edge of the school roof, intent on taking her life, she is there because of the decisions we, the player, have made. Okay, time to be straight with you—well, maybe “queer” with you is the better way to put it. Because, as I was telling you about these amazing games, I kept wanting to tell you about games that don’t cost millions of dollars to make and market. You see, the statistics I’ve discussed are generated by the Entertainment Software Association, a trade organization that represents the biggest videogame companies around the world. Not surprisingly, it’s an organization that concerns itself only with the commercial side of the videogame industry. The ESA doesn’t represent independent game makers who post their games on sites like itch.io. The ESA doesn’t represent the people who participate in queer game jams like the annual QUILTBAG jam organized by Zoë Quinn and Todd Harper or the games that are designed during queer game jams. The ESA doesn’t represent academic game-designers like Paolo Pedercini or IUP’s own Rami Shaaban. The ESA doesn’t analyze or promote games that do more than “entertain.” So, when I talk about games that drill down into the questions, problems, and challenges that face us as friends and lovers, mothers and fathers, sisters and brothers, as voters and activists, as people with jobs and student debt and lousy health insurance and addiction problems, as people who find beauty in the small and significance in the little noticed, I want to talk about games produced by independent developers, queer designers, and hobbyists. These are games produced on little or no budget, games that are free to play or whose designers ask you to give what you can. I want to talk about Zoë Quinn’s Depression Quest, a game that allows us to play a character living with depression, struggling through everyday life, attempting to create and secure agency despite everything working against her creativity and security. I want to talk about That Dragon Cancer, created by Ryan Green, Josh Larson, and Amy Green to share their experience of raising a small child with terminal cancer. I want to talk about Paolo Pedercini’s The McDonald’s Videogame, an “anti-advergame” that satirizes the unsustainable and corrupt practices of the contemporary mass-production food industry. I want to talk about Elizabeth Hunter’s Something Wicked, a game designed by a theater historian to enable players to experience the bloody violence of Shakespeare’s Macbeth and therefore be more sensitive readers and viewers of that play. I want to talk about Toby Fox’s Undertale, which takes the conventions of the computer role-playing game and turns them on their head, compelling the player to confront the consequences of their decision to kill monsters and steal their possessions. 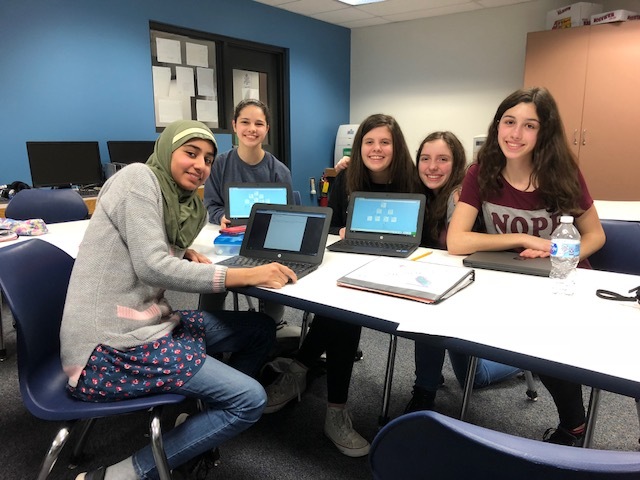 I want to talk about the kinds of games IUP Communications Media instructor Dr. Ramy Shaaban and his students are designing to help medical professionals do their jobs better. And I want to talk about the kinds of games created by the students of Indiana Area and Franklin Regional middle and high schools. 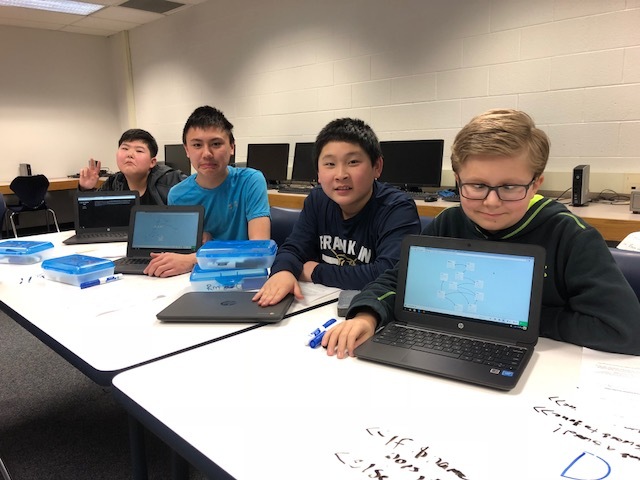 This past March, a team of faculty and graduate students from the IUP English Department, the Center for Digital Humanities and Culture, and the Critical Play Union led a series of creative-coding workshops with middle and high-school students at Indiana Area and Franklin Regional School districts. We’ve taught them to create storygames with Twine—just like the one we played earlier, only the students’ are much better. To create a fun storygame, a designer has to know how to tell a good story AND how to write effective code. And they have to contend with the constraints and possibilities that certain kinds of stories exert on code and vice versa. Educators often talk about how to integrate the Humanities with Science, Technology, Engineering, and Math. The students in our workshops are imagining and creating right there, right there in the interface between the Humanities and STEM, demonstrating every instance why the Humanities are vital to the future of STEM and vice versa. And even more importantly, they’re demonstrating that creativity and imagination are vital to the future of both. For example, some people would argue that one of my favorite games, Gone Home, isn’t a videogame. You take on the role of a young woman, arriving home after a trip to Europe, and discovering that your mother, father, and younger sister aren’t home. You walk around the house, looking at various objects, opening doors, listening to music, reading your sister’s journal entries. There’s very little challenge, nothing to kill, nothing to jump over or climb. But it is entirely engrossing, deeply moving, and one of the best texts about a young woman’s coming of age and coming out of a closet that I’ve ever experienced. 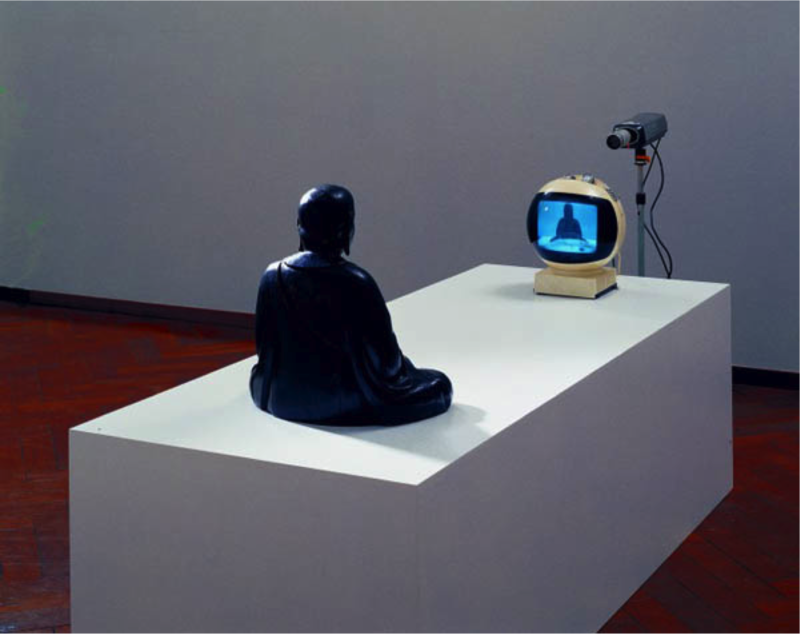 Most people would disagree with me if I argued that Nam June Paik’s 1976 installation TV Buddha is a videogame. But it has all the elements of a videogame. There’s a screen, a viewer, a problem to explore and a space in which to explore that problem. I think that counts as a videogame–or at least it counts as part of the history of the videogame, part of the conversation about consciousness, technology, and play. And I think if we do count it, we might think of different ways to think about, make, and play videogames. In their essay, “Queering Human-Game Relations,” Naomi Clark and Merritt Kopas ask us to consider the multifaceted relationships that surround videogames, what we expect of videogames, and what we expect of those who play them. Kopas writes, “Games are cultural fantasies of the way things work. Through play—not just through representations or images—we tell stories about how we believe or want to believe the world works.” Thus, these fantasies need to be thoroughly explored and understood, whether those fantasies are about super-powered heroes or about sinking into a perfectly immersive virtual reality or about beating our friends and family in competitive games. So, yes, it’s vital that we understand exactly what a videogame is, because videogames are systems that engage our imaginations and our desires. But that understanding doesn’t just concern videogames. In “Manifesto for a Ludic Century,” Eric Zimmerman argues that the “increasingly systemic, modular, customizable, and participatory” nature of technoculture intertwines us in deep, complex, intimate, often unrecognizable ways with economic and governmental power. The mercurial and self-obfuscating nature of that intertwining poses real challenges to our individual and collective capacity to identify those systems, to map them and our relationship to them, and to generate critical perspective and empowering practice. One way to do this, Zimmerman argues, is to play videogames. “It is not enough to merely be a systems-literate person; to understand systems in an analytic sense,” he writes. “We must also learn to be playful in them.” Videogames are, at heart, interactive systems that govern and evaluate performance. Queer game designer and critic Anna Anthropy would agree: “A painting conveys what it’s like to experience the subject as an image; a game conveys what it’s like to experience the subject as a system of rules.” The player of games doesn’t just play within the system of rules, Anthropy explains, she plays with the rules. As she plays, she continually assesses the state of the system, looks for opportunities to take advantage, identifies and implements the best strategy, modifies or glitch the rules to improve the experience. Being playful does not mean being naïve about the hazards posed by the technologies of performance, surveillance, and data processing. Performance theorist Jon Erickson argues that scholars, critics, and practitioners of performance must remain alert to the ways that new technologies and paradigms of performance mortgage our minds, bodies, and imaginations to regimes of “social efficacy,” “organizational efficiency,” and “technological effectiveness.” These matrices of technology, ideology, and social convention, he continues, force us all to constantly perform, whether under the watchful eye of employers, the law, or marketers. There is no better example of that than the recent news that 50 million Facebook accounts were pillaged by the big-data political firm Cambridge Analytica based on strategies invented by the makers of Farmville. As Lila Thulin reports in her Slate story, concerns about Facebook had been voiced by privacy advocates for years. 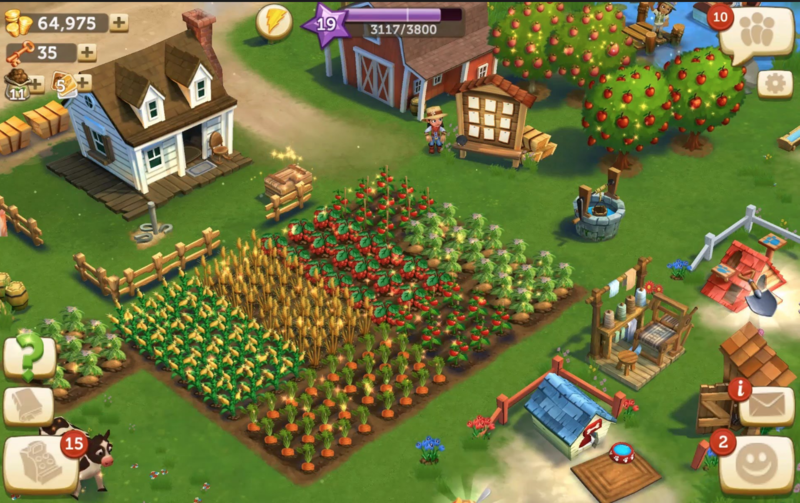 And long before the “personality test” that enabled Cambridge Analytica to access those accounts, there was Farmville, whose launch in 2009 marked the start of a new wave of videogames that used various psychometric indicators and user information to make the game more appealing and more fun. And for it to be fun, you shared your personal data, allowing your achievements to be sent to your contact list as notifications and your consumer data to be sold to third parties. My least favorite videogame in the whole world, ever, is the game I play with my health insurance company where I earn points by doing various healthy things, varying from getting a physical to lying on a survey about the abject depths of my existential despair. Given the amount of points I’m going to earn, my upcoming colonoscopy is apparently a boss fight. When we speak about what a videogame is, we need to be conscious of the complex, multifaceted, networked nature of play. For example, when I sit down, boot up my PS4, and press start on the multi-player first-person shooter Overwatch, my goal is to play the game Overwatch. But I don’t just play Overwatch with a controller in my hands. I can play the game with my PS4 turned off, too. I play the game when I visit the official website to check out videos and comics about the game’s diverse and utterly fetching roster of characters. I play it when I participate in Twitch.tv session. I play it when I browse social-media sites that showcase fan-created art and fiction. I play it when I comment on articles that discuss the game’s approach to racial, ethnic, and gender diversity—and when I distribute those articles on my social media feeds and in my classrooms. I play it in online forums that describe elaborate theories about the next character the developer will unveil. I play it when I explore Overwatch cosplay sites and marvel at the technical, gestural, and performative genius of cosplayers and those who photograph them. This is a form of play—a form of cross-media, cross-genre metagaming—that has yet to be recognized by videogame theorists and historians. And it is a vital source of ludic literacy. Which leads to the last question that is begged by my title. If videogames matter, then how should that mattering be represented in a university curriculum? Resisting the pull to “big data” digital humanities, Losh advocates thinking small, thinking of data quirks, the messiness of individual responses within systems, the innovations that continually occur when creative problem-solving is carried out not only by consumers of data, but those who create those systems. A focus on videogames, in short, focuses the work of humanities scholars on forms of digital culture that interface with individuals, player culture, community interventions, “actions styles,” and forms of agency that don’t fit well the typical focus of Digital Humanitarians. In other words, Digital Humanities is exemplified by a 7th-grader creating a Twine storygame about their alcoholic brother, by feminist videogame streamers, by queer game jammers, and by kids teaming up to stop a racist player from harassing players of color in a chat channel. These critical-creators need to be given a space next to digital archivists, the text miners, and big-data analysts. So, if I were a Dean of a College of Humanities and Social Sciences at a mid-sized public university, and I had donors interested in dropping half a million dollars to support the digital humanities, I would insist that we design a curriculum that not only included videogames, but was constructed around videogames, that emphasized videogame design and analysis as part of history and art history and sociology and English, that emphasized combination of creative practice and critical/historical analysis, that provided a space for people to play together and learn to play better together, that there be a place to share what we create and share our ideas. If videogames matter to so many people in so many ways, then it’s time universities start caring about them, too.